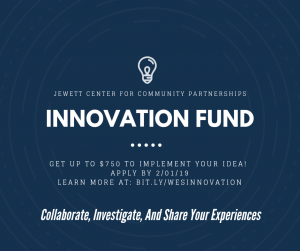 During the 2018-2019 academic year, nearly 400 Wesleyan students engaged in programs sponsored by the Jewett Center for Community Partnerships (JCCP). Students have worked on behalf of educational programs, programs addressing hunger and homelessness, among others. All student efforts are representative of our commitment to co-creating mutually respectful partnerships in pursuit of a just, equitable, and sustainable future for communities beyond the campus—nearby and around the world. 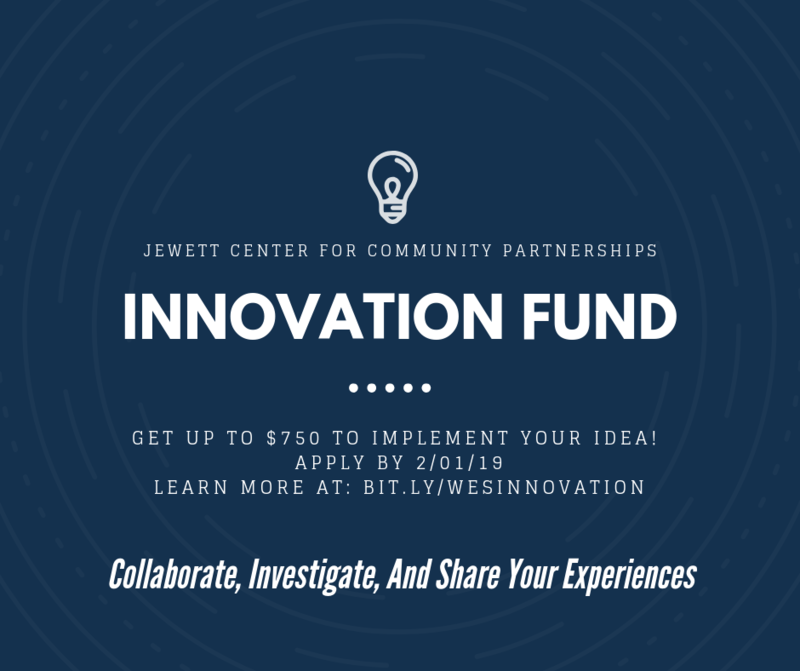 The Jewett Center for Community Partnerships will continue to support this work while encouraging student innovation in an effort to deepen our contribution to the greater Middletown community. We encourage students to envision, then implement innovations that strengthen collaboration across student groups, campus units/departments, and partnerships with community institutions. We welcome proposals that will shed light on the impact of Wesleyan student civic engagement efforts. Fill out an application, indicating the category of support (Collaboration, Investigation, or Sharing) you are applying for. Implement your innovation in Spring or Summer 2019. JCCP staff can support your work through brainstorming, connecting you to community partners, or advertising through ENGAGE channels. All grantees will be expected to submit a public report for the ENGAGE blog, which should include photos or other media about your project experience, learning, and results. In addition, please be prepared to be called on to participate at civic engagement panels, and/or other Allbritton Center events.